Welcome Günther Irmscher tells us about the milestones in his company’s history on the 50th anniversary of Irmscher Automobile. on a company history defined by Opel milestones and shows us his favorite models. Herzlich willkommen Zum 50. Geburtstag der Irmscher Automobile zeigt Firmenchef Günther Irmscher junior die Meilensteine der Unternehmensgeschichte. Günther Irmscher was a successful rally racer, whom different car manufacturers consulted for his expertise as early on as his motorsports career. That is why he felt the urge to stay true to his passion after retiring as a racer, and started his own business as a vehicle tuner. The 31-year old founded Irmscher Automobilbau at the heart of Winnenden in 1968. After just ten years, the original company headquarters became too small. Irmscher moved to the site of the old Heinkel plant in Remshalden. Today, the company is made up of 150 employees, has modification workshops in Portugal and Spain, and produces limited-edition modified and inhouse-developed series of between 50 and 2,000 models. It has long ceased to merely represent expressive sportiness. 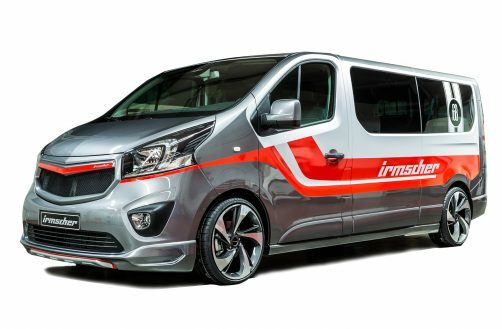 “Our signature style is individuality,” explains Günther Irmscher Jr. “This can take the form of sporty models, but also functional or cool and stylish cars” – just like the Vivaro Liner 500, produced as a special edition for the company’s 50th anniversary. It’s a mild, sunny winter morning in Remshalden, about 20 kilometers to the northeast of Stuttgart in southwest Germany. 46-year-old Günther Irmscher, who has been the CEO of Irmscher Automobilbau GmbH & Co. KG for 19 years, sits at his desk. Memories from times gone by hang on his wall. While he may seem relaxed today, the last few months have been very eventful. His company turned 50 in 2018, which meant 12 jam-packed months of celebrations. 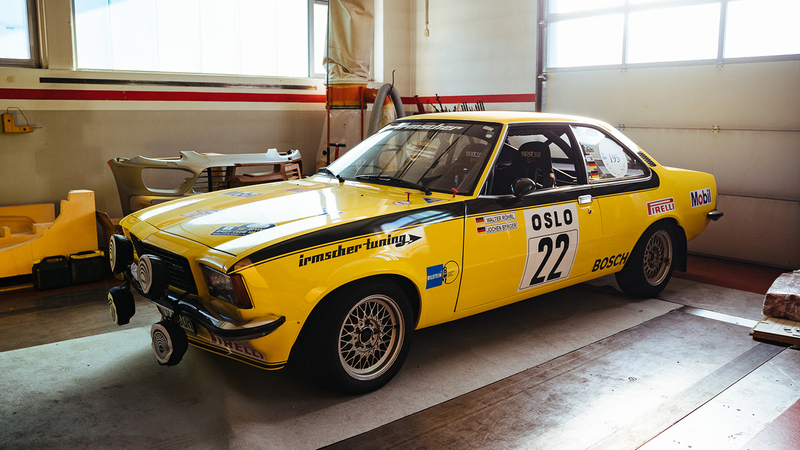 For example, Opel’s number one partner in all things related to vehicle tuning presented a major anniversary exhibition at the Retro Classics trade fair in Stuttgart. Irmscher also celebrated its anniversary at the Essen Motor Show and specialist car dealer events. All of this had to be arranged on top of normal business operations. 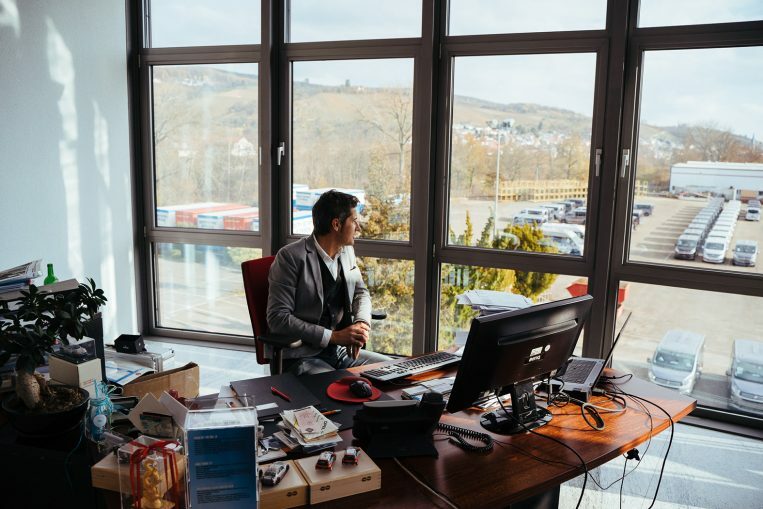 A great outlook Irmscher has an impressive view of the company premises from his desk, not to mention the foothills of the Swabian Jura mountains. The cornerstone Jochen Berger and Walter Röhrl in the Commodore GS/E at the 1973 Monte Carlo Rally – this day marks Irmscher’s entry into rally racing. 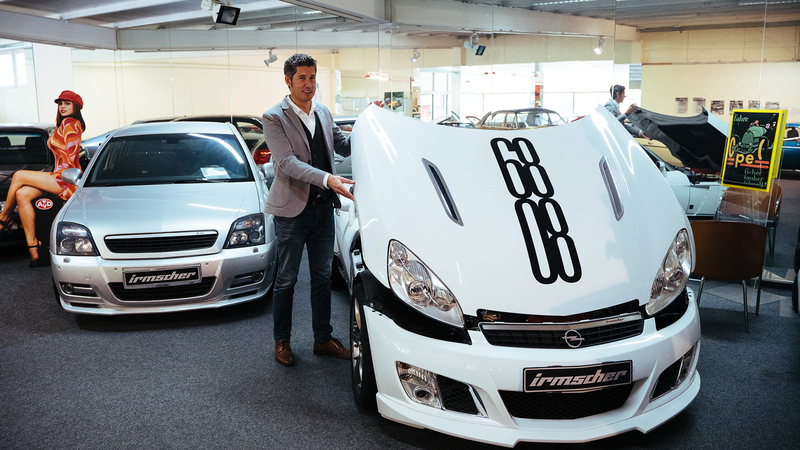 Pop the hood While Günther Irmscher never became a star racer like his father, a passion for motorsports is in his blood. 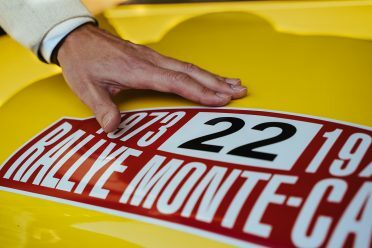 A piece of racing history The competition number 22 on the Commodore, which Walter Röhrl and Jochen Berger drove in the 1973 Monte Carlo Rally. 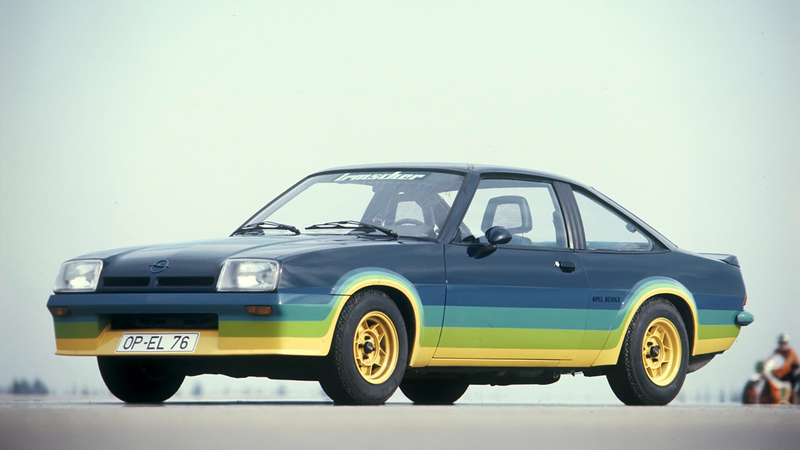 It has always been Opel models that have set milestones in the company’s history. 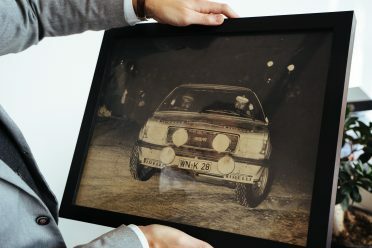 It all began with a Kadett – in 1968, Günther Irmscher Sr. paid for the double garage that would later become the cradle of his company with the proceeds from selling the last rally car he drove in his successful career as a racer. It was located at the heart of Winnenden, a small town with 30,000 inhabitants to the northeast of Stuttgart. Irmscher began with two employees, just as Adam Opel once did. 150 employees now make up Irmscher Automobilbau GmbH & Co. KG. The company also has modification workshops in Portugal and Spain, and produces modified and inhouse-developed limited-edition series of between 50 and 2,000 units. An Opel Kadett also provided the impetus for the move to neighboring Remshalden in 1977. Günther Irmscher wanted to initially produce his interpretation in a limited-edition series of 500 units. He found the suitable space to do so on the premises of the former aircraft manufacturer Heinkel. 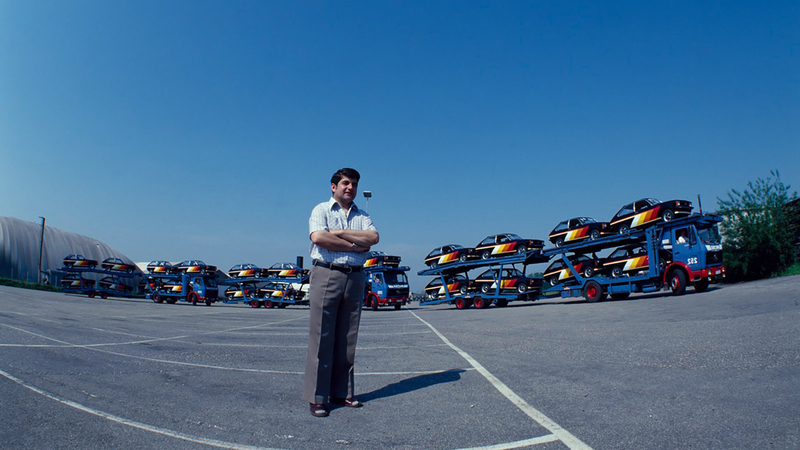 A photo of the company founder, in which he poses between two powerful low-loaders filled with the expressively painted Kadett C City, now embellishes the hall of the administrative wing. 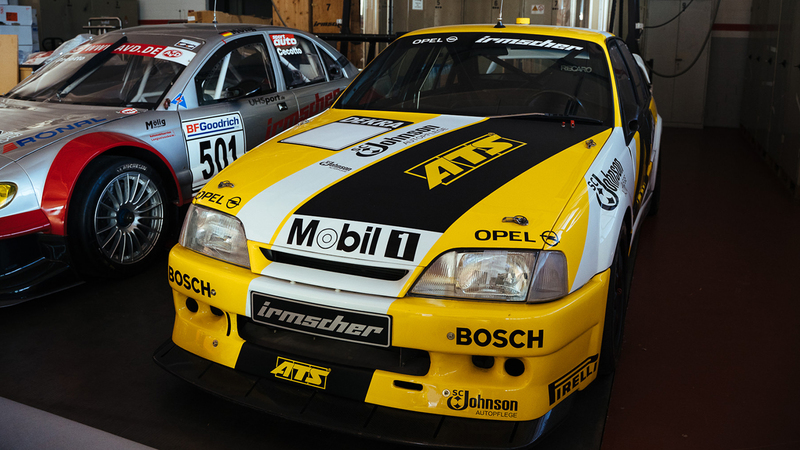 In 1991 Volker Strycek, now head of the Opel Performance Center, and Franz Engstler started the German Touring Car Championship on the AVUS track in Berlin in a racer version of the Opel Omega Evo 500. The 20-year-old Günther Irmscher Jr. also drove this model for the occasion. One of these models can now be found in a garage in the workshop area. “We had the rally version reconstructed in 2018 by the same employees who were responsible for making the original.” What a way to celebrate an anniversary! ↑ Between Legends Irmscher with the versions of the Omega Evo 500 (right) and Omega B with a V8 engine. → A unique rim Irmscher unites car manufacturing with manual work. 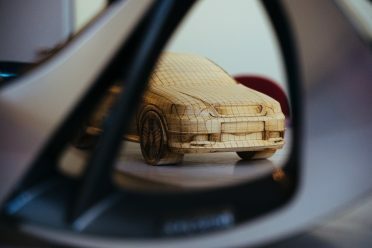 Models like these are made from paper and wood. The rim is an Irmscher ‘heli-star’ which imitates the design of a helicopter rotor. It looks particularly good on Opel X models. Günther Irmscher Jr. officially took on his father’s life’s work after he completed his degree in 1999. Günther Sr., who had founded the company aged 31, died in 1996 at just 59 years of age. His memory lives on throughout the company. 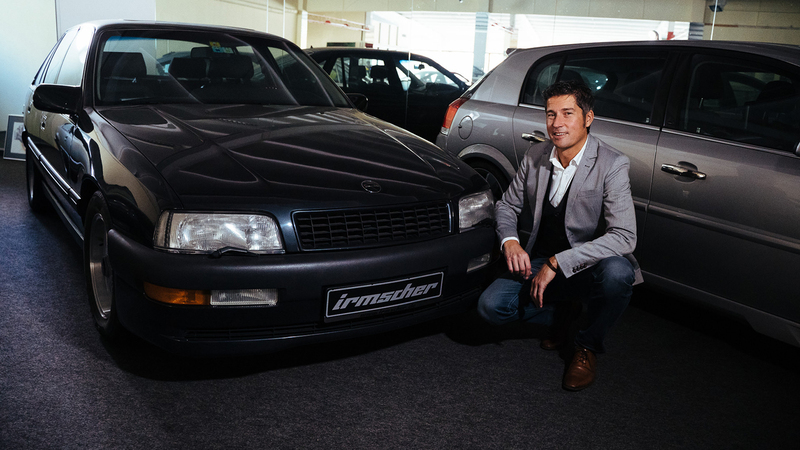 Not only is his rally helmet from his motorsports career exhibited in the show room, but so is his last company car, an Irmscher Senator B 4.0i from 1993.